If you love pizza, and we mean to the point where you’d quite happily eat it every day for the rest of your life, then this festival is for you! 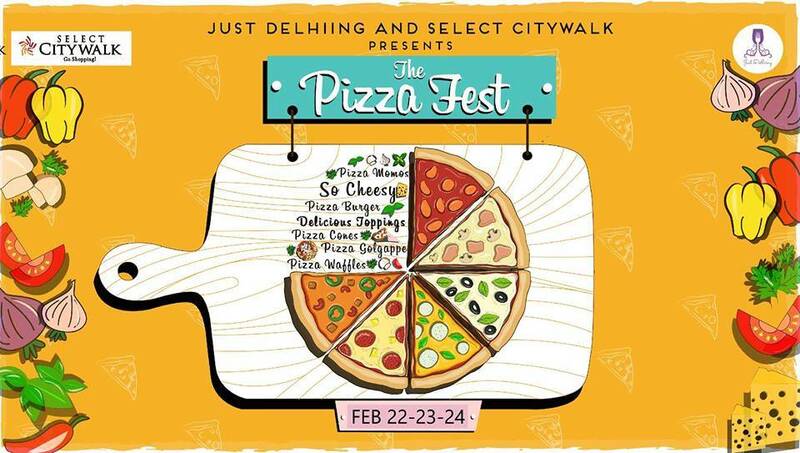 The Pizza Fest at Select CITYWALK, Saket from 22nd - 24th February 2019, is a three days long celebration of the dough, cheese, tasty sauces and delicious toppings. Whether it be Wood Fired, Thin Crust, Deep Dish, Pizza Waffles, Pizza Golgappe, Pizza Momos, Pizza Cones or Pizza Burger, there will be variety of pizza types and toppings for taste buds of all types! And just in case you don’t fancy any pizza at all (which we highly doubt), there will be a variety of fancy sides on the menu – burger, fries, waffles, desserts and drinks! For stall bookings and enquiries, call 8447383004 or write to justdelhiing@yahoo.in.